The web of corruption that has been set up to destroy the free market in the transport segment has been causing problems from north to south of the country. And with some recent events seen that bring denunciations of alleged attacks involving the burning of trucks, protests fighting for the rights of road hauliers, who because of dishonesty of those who have business to lose, have been called locaute. All in an attempt to incriminate commercial competitors. In this mafia that has arisen in the transport sector of Brazil country some figures stand out as Mafia soldiers who try to deceive truck drivers, attack the automakers and deceive even serious organs like Public Ministry, CADE (Administrative Council of Economic Defense). And the boldness is so great that a whistleblower who needs to be denounced approached even the Federal Police, to raise false accusations and take the spotlight in the right direction and hide a scheme involving big businessmen, false journalists, defamation portals, and arms politicians who have done what ever it takes to support the Mafia that wants to dominate the transport market in Brazil , usurping the flag of free competition. Heracles Marconi, was unmasked in 2014 in Policial Operation “Toque de Midas” for drug trafficking, money laundering, interception and other crimes. José Milton Freitas is not a truck driver and is more like a professional of stelionate. Deputy Pastor Eurico, was elected in the last election, against the change that Brazil wants. Hiding the fact that he appeared in Policial Operation Turbulence( Turbulencia), an unfolding of the Lava Jato Task Force, by receiving a bribe from a company linked to OAS, which financed the plane that crashed killing presidential candidate Eduardo Campos. Leaving from Pernambuco(northwest) to Goiânia we find the mafia star who attacks automakers and chases logistic companies, he, the king of the false labor unions: Afonso Rodrigues de Carvalho, who uses nickname: Magayver. Magayver( Afonso Rodrigues), currently accumulates beyond the false unions, luxury cars, a real mansion, in the state of Goiás valued at the value of five million BRL. Apparently, favoring the transport mafia and becoming the whistleblower and “golden boy” favoring powerful companies is an extremely lucrative business. Magayver poses as a good guy, was a whistleblower of corruption scheme, however, it is valid to ask how he would know so much information, if he was not part of the scheme? In making the accusations however, Magayver left out the companies that have him under the wings, Gabardo, hiding an even bigger scheme capable of brings a Lava Jato Police Operation of the transports, uncovering numerous crimes committed by the companies connected to this Mafia. Recently, Magayver who calls himself a “simple” person, a mere syndicalist, made a trip to Germany. The costs of a trip to Europe do not seem like simple spending. The goal of the trip, to attack the automaker Volkswagen, in his homeland. What is the purpose? 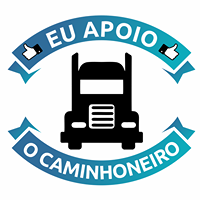 Prevent the automaker from establishing partnerships with other logistic groups in Brazil. Gabardo´s competitors. This is how this Mafia, with false spooks, corrupt politicians, stealers, newspaper writers who spread lies in their portals and drawer syndicalists, who say they are defending free competition when they are not. Magayver also circulates around Brasilia spreading his gossip and producing fakenews portals in supposed defense to the truckers, and accumulates more than 20 sets (truck and cart) in the group Gabardo. So simple and humble? But, the truth will come out. Next WHO IS THE OWNER OF THE ‘EMPIRE OF FAKENEWS’ AGAINS FREE MARKET OF TRANSPORTATION IN BRAZIL ? WHO IS THE OWNER OF THE ‘EMPIRE OF FAKENEWS’ AGAINS FREE MARKET OF TRANSPORTATION IN BRAZIL ?